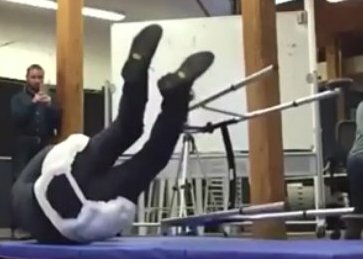 Hip - Airbags: a tech solution to senior falls. A broken hip is one of the major injuries from accidental falls. Up to 90% of broken hips are caused by a fall, and for seniors the results are depressing: half never fully recover to their former lifestyle and another quarter die within a year of the injury. Safety hip-pads have been around for quite awhile, but are bulky and generally unpopular in the senior community. In this sequence, from a video at the 2018 CES show, the deployment was a bit late. Here, the inflation is quite early, but the elbow strike is not a good thing. As with any new development, there are many technical challenges. The computer chip and sensors that detect a fall must have a sophisticated program that will trigger the airbag inflation quickly enough; yet still avoid accidental deployment from just "dropping" down into a soft chair. So, are hip airbags a real solution to the senior falling epidemic? Perhaps not generally. A major problem, as noted by those in the field, is compliance. Although the new systems are smaller and less obtrusive than the old and bulky hip pads and shields, they are still noticeably large. The cost is relatively high, $800 or so, and every use requires replacement of gas cylinders at the least. For the average senior, these devices will not be very appealing. Notice that in this picture, and especially in both of the sequences above, the test subjects are already using active safe-falling techniques -- even as they aim to land on their hip area. Their arms are pulled in close to the body, their core muscles are tight, and their necks are tensed to prevent head-whip. 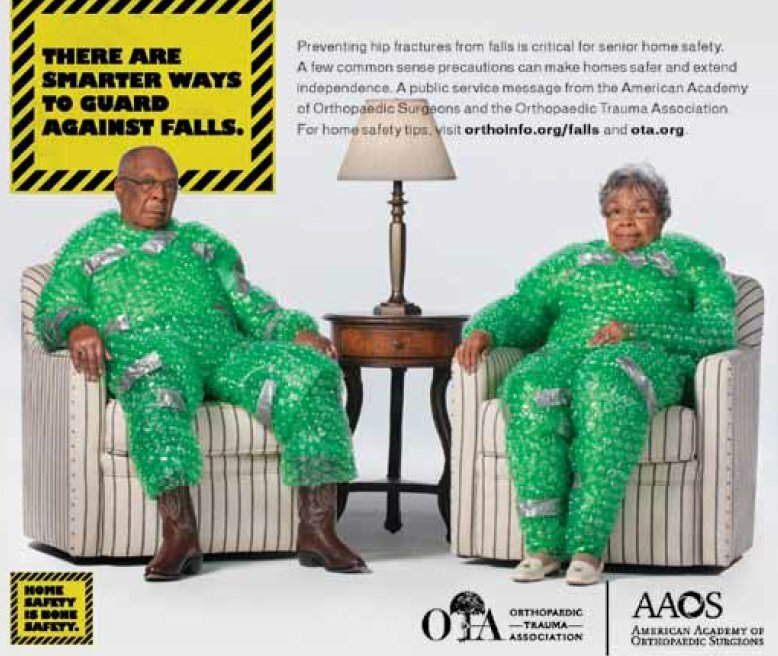 If seniors need to fall this well when using the hip-airbags, why not also teach them to just sit down?